Apple purchased worldwide exclusive rights to use Liquidmetal in April of last year, so this rumor is actually plausible. Liquidmetal alloys are named after the feel of the material, which is smooth and liquid-like. It’s over twice as strong as titanium and has a shape memory that allows it to retain its original shape after very high loads of stress. But most impressive is how resistant Liquidmetal is to corrosion and wear. 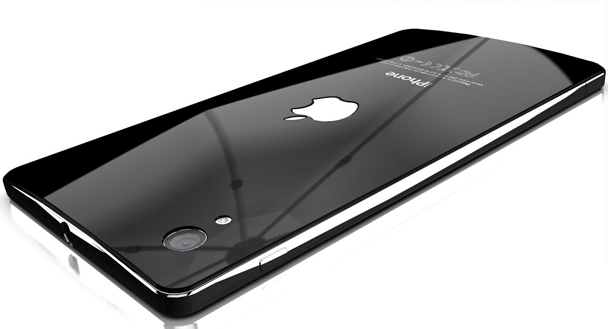 Antoine Brieux created these renders of what a Liquidmetal iPhone might look like. While it lacks the refinement we see from Jony Ive, and there is no way the next iPhone will nix the physical home button for a virtual one, it’s still beautiful.